The 11 days gorilla trekking safari Uganda wildlife tour Rwanda is a Uganda gorilla safari and Rwanda wildlife tour to the best of the safari parks in the two countries. The trip takes you on a wildlife tour to Lake Mburo National Park, a gorilla trekking experience at Bwindi impenetrable national park, wildlife tour to Queen Elizabeth National Park in Uganda and a Rwanda wildlife safari to Akagera National Park and Nyungwe Forest National Park. With arrival in Uganda’s Entebbe international airport, your trip starts with a pick up by a safari driver guide who welcomes you, gives a briefing on the whole safari and makes a transfer to your booked hotel or lodge in Kampala. The next morning, you are driven to Lake Mburo National Park in western Uganda with a stop at the equator line in Kayabwe just 80km from Kampala continuing for an evening boat cruise. You go for a morning game drive at Lake Mburo National Park the next morning then after be transferred to Bwindi forest national park in the evening. The next day you go gorilla trekking in Bwindi forest then after be transferred to Queen Elizabeth National Park where you undertake an evening game drive the next day. Still at Queen Elizabeth park the next morning you go for a morning game drive then undertake an evening boat cruise along the 45km long Kazinga channel. From Queen Elizabeth national park, you are transferred Rwanda where you go for a game drive at Akagera national park and chimp trekking and canopy walk at Nyungwe forest national park the next day. From Nyungwe forest, you then depart via Kigali international airport in Kigali. Day 1: Arriving at Entebbe international airport, your safari driver guide, picks you up, does briefing and then transfers you to a booked hotel in Kampala-Uganda’s capital where you spend the night. Day 2: From Kampala, you are driven to lake Mburo National park in western Uganda with a stop at the equator line where after you do an evening boat cruise on arrival. Day 3: Early morning after breakfast, you go for a morning game drive then after transfer to Bwindi impenetrable national park in the evening. 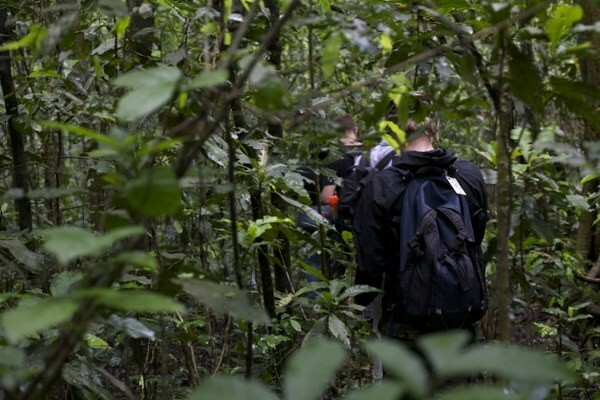 Day 4: This morning, you go for gorilla trekking at a specific gorilla trekking sector of Bwindi where you spend about 2-8 hours in the jungle. Day 5: After a relaxed breakfast, you are driven to Queen Elizabeth National Park where you undertake an evening game drive. Day 6: Following a cup of coffee in the morning, you go for a morning game drive through the savannah plains of Queen Elizabeth National Park for about 2-4 hours then after go for an evening boat cruise. Day 7: From Uganda, you have your last breakfast then after your driver guide transfers you to Rwanda’s Akagera National Park where you spend the night at an accommodation close to the park. Day 9: Following early breakfast at a lodging facility close to Akagera national park, you are then transferred to Nyungwe Forest National Park. Day 10: In the morning, you are taken for chimpanzee trekking at Nyungwe forest national park then take an evening canopy walk. Day 11: After a hearty breakfast, your knowledgeable driver guide drives you to Kigali international airport for a departure flight. Upon arrival at Entebbe international airport in Uganda, you meet a professional safari driver guide waiting to take you through your tour. After meeting and greeting, your guide helps you with the transfer to a booked accommodation in Kampala using a 4×4 safari vehicle. On arrival at the hotel/lodge, you check in have dinner and spend the night at the heart of Uganda’s capital. From your lodging facility after having breakfast, your driver guide picks you up at your hotel for a transfer to Lake Mburo National Park which will be the first Uganda safari park for your wildlife encounter. 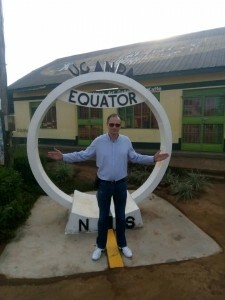 Just 80km from Kampala at the equator line in Kayabwe, you make your first stop for a double hemisphere experience and photography. Continuing with the drive to the southern hemisphere, you go past scenic landscapes arriving lake Mburo in the afternoon for a boat cruise. Taking a boat cruise on the historical Lake Mburo offers you the chance to see water animals and bird species within a spectacular backdrop. In the evening, you take an evening game drive en route to your accommodation facility. You check in, have dinner and spend the night at a booked accommodation in Lake Mburo National Park. Waking up to a hot cup of coffee, you are driven to lake Mburo park for a morning game drive that starts by 7:00am and lasting about 2-4hours. Here you have the chance to sight several wildlife species including Zebras, Kob’s, antelopes and many more alongside several bird species. 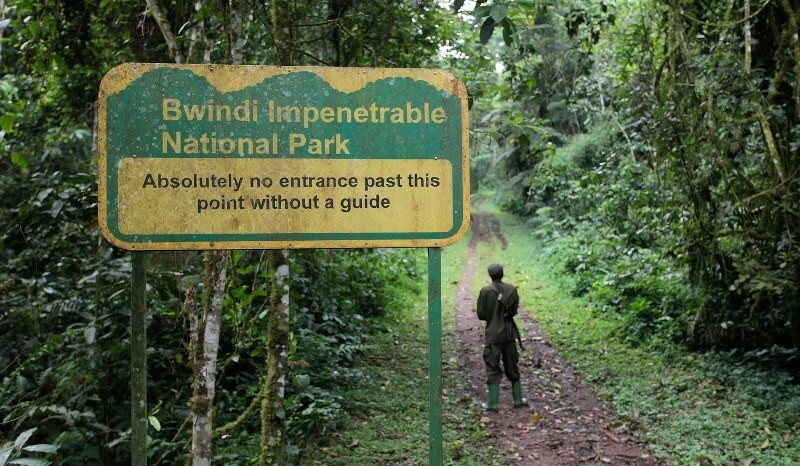 After the game drive, you have lunch and then embark on the drive to Bwindi impenetrable national park. Welcomed by the scenic Kigezi highlands, you arrive in the evening for check in, dinner and a night’s stay at a booked accommodation in Bwindi impenetrable national park. Following early morning breakfast, you are driven to a specific gorilla tracking sector of Bwindi according to the region booked by your tour operator for gorilla trekking. Anticipate to be at the park headquarters by 8:00am for gorilla trekking safari in Uganda experience starting with briefing from the park rangers which lasts about 30 minutes. After then, you, park rangers and 7 other Uganda gorilla trekkers get into the jungle in search of the gentle giants taking about 2-8hours. 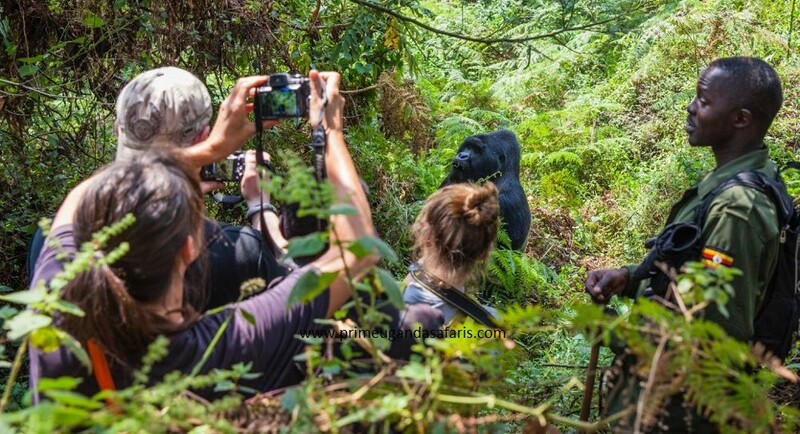 You spend only 1 hour in the presence of the mountain gorillas as you take memorable pictures and sight the lifestyle of the mountain gorillas. After the trek, you return to the gorilla trek start point where you receive a Uganda gorilla trekking certificate then after be driven by your driver guide to your hotel or lodge for rest, dinner and a night’s stay. In the morning, expect to wake up early, have breakfast then after be driven to Queen Elizabeth Park for a morning game drive that lasts about 2-4 hours. 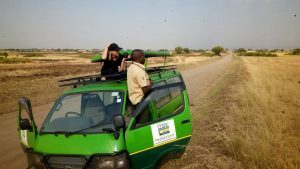 During this time, you slowly drive through the park in an open roof 4×4 safari vehicle alongside your safari guide as you sight several wild species like elephants, waterbucks, lions, antelopes, kobs and many more. This morning, you have relaxed breakfast (the last on the Uganda tour) then be driven past the Kigezi highlands and Virunga backdrop to Rwanda’s Akagera National Park. This about 5-6hours drive takes you to the big five (Rhinoceros, Elephants, Buffaloes, Lions and Leopards) home in Rwanda. You spend the night at a close accommodation in Akagera National Park. This morning, you go for a morning game drive for a sight of the big five in Akagera national park. 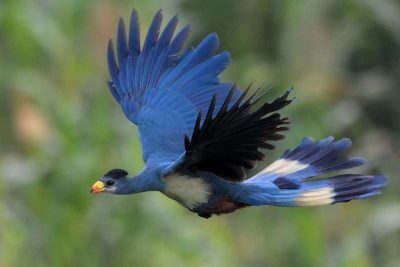 Sighting the early risers try to find a morning catch and targeted prey trying to find refuge is an amazing wildlife safari in Rwanda experience. After about 2-4hours, you return to your lodging facility, have lunch and then return for an evening boat cruise on lake Ihema (Rwanda’s second largest lake) then after return to your lodging facility where you spend the night. In the morning, you have relaxed breakfast then bid farewell to Akagera national park and embark on the drive to Nyungwe forest national park. Taking about 7 hours drive, you arrive in the afternoon for check in, dinner and spend the night at an accommodation in Nyungwe forest national park.